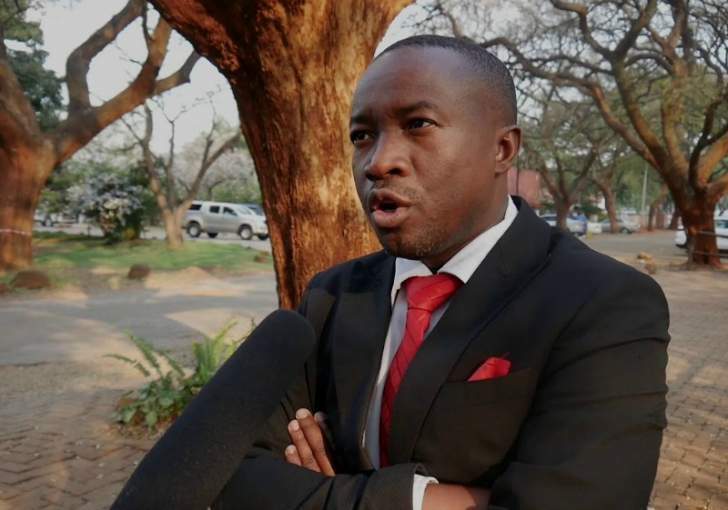 MDC Alliance chief whip Prosper Mutseyami yesterday accused his Zanu-PF counterpart in the National Assembly, Pupurai Togarepi, of political grandstanding by claiming that ruling party legislators had resolved to forego luxury vehicles and entitlements. Togarepi said his party MPs had decided to forego any entitlements so that the resources go towards more pressing national issues such as doctors and teachers' salaries. In December, MPs refused to pass the Parliament vote of $101 million until Finance minister Mthuli Ncube increased it to $163 million to cater for their vehicles as well as salary and allowance increases. Sources said the arm-twisting of Ncube would result in MPs' salaries going up by 100%, while each legislator would get up to $80 000 for a new vehicle, likely to be a Toyota Land Cruiser model. Mutseyami said the Zanu-PF government had, for the past 20 years, ignored the plight of teachers and doctors while spending millions of dollars on vehicles. "That statement by Togarepi that Zanu-PF legislators will forego the vehicles and luxuries is just playing to the gallery because even President Emmerson Mnangagwa drives an expensive limousine and goes on international trips in a hired and expensive Swiss private jet," Mutseyami said. "Just like former President Robert Mugabe, Mnangagwa moves around in a motorcade with about 15 cars and bikers, and whenever he goes to rallies, he uses three helicopters, and so can you call it foregoing luxuries by Zanu-PF?" He said while opposition MPs sympathised with workers and other suffering Zimbabweans, it was surprising that all of a sudden Zanu-PF pretended to be good Samaritans. Togarepi told NewsDay that if Parliament and government had the money for the vehicles, Zanu-PF MPs would not reject them. "But we are saying they should deal with the priorities first. We are saying should there be need to adjust or rationalise, we will do so to take care of the interests of the people first," he said. Political analyst Rejoice Ngwenya said utterances by Togarepi smacked of hypocrisy, as Zimbabweans were suffering because of excessive government expenditure. "They spend billions of dollars in money-laundering and travelling and then they tinker around parliamentary issues like MPs' vehicles, pretending that they do not want the vehicles," Ngwenya said. "It is merely a public relations statement because MPs need vehicles. It is important for our MPs to be comfortable and mobile." Another political analyst, Alexander Rusero, said the unfortunate part was that Parliament was currently being reduced into a caricature, with no pragmatic policies being crafted, and with Zanu-PF failing to use its two-thirds majority to demonstrate servant leadership. "Everything is sacrificed whenever Zanu-PF wants to play the big brother role and pretend that they have a bigger role to play and they need to concentrate on issues affecting the people, instead of MPs," he said. "The moment you have one political party posturing and trying to be populist on the issue of MPs' vehicles, it becomes a problem." Rusero said instead of trying to pontificate and pretend to be less greedy than opposition MPs, Zanu-PF should concentrate on fixing the comatose economy. "We have not even seen these Zanu-PF MPs in fuel queues, suffering like the rest of the Zimbabweans and their stance is merely populist," he said.